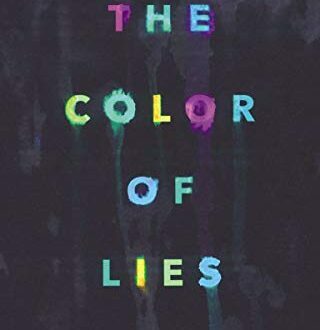 The Color of Lies brings you a YA Fiction book that reads so much more than that. You get romance (but not too much to be lovey dovey), tons of suspense, and a bit of mystery. 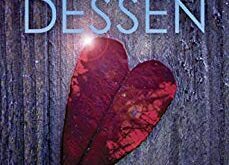 The thriller aspect is lower than you’d expect, and I assume that is because of the YA genre label, but it was enough. 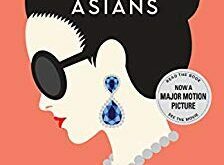 My favorite part of this story was the characters. The story leaned heavily on characters that were well developed and interesting. I found the characters relatable even if they really weren’t because of their special abilities. I was intrigued by certain behaviors and felt emotions when they felt them. I also found the suspense in this story to be just enough. 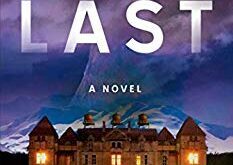 There was enough to make me want to keep reading, although I will say that there were multiple times when the story slowed to a point where it was interesting, but lacked urgency. I wished it was more intriguing at those moments and held my interest more until it picked back up. With that said, I think people who love multiple genres will love this book. It has a little bit for everyone. I encourage everyone to check it out and decide for themselves what they think. 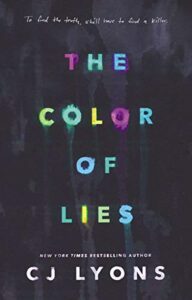 The Color of Lies is available now on Amazon, Barnes and Noble, and your local bookstore. Make sure to add it to your To Reads list on Goodreads and leave feedback for the author when you are finished. Also make sure to check out more from author C.J. Lyons on her website.